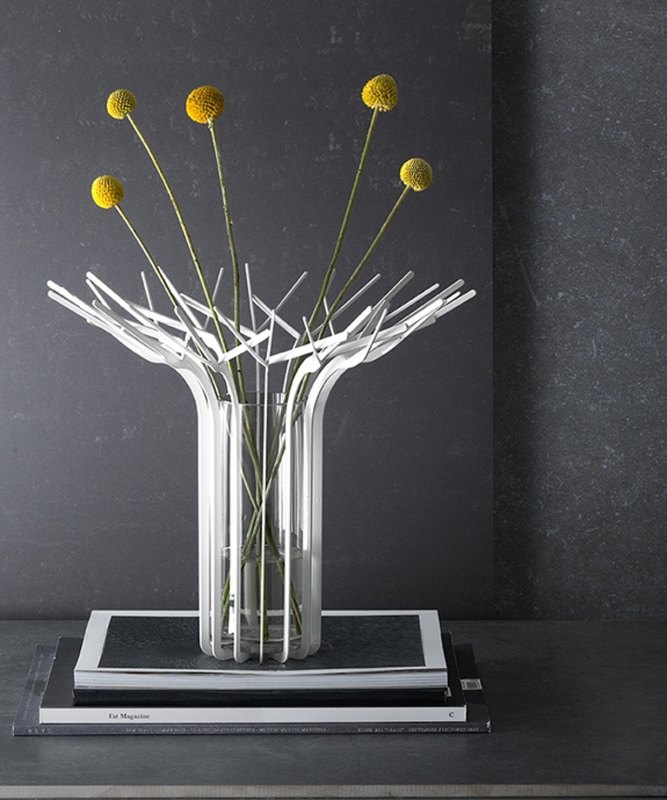 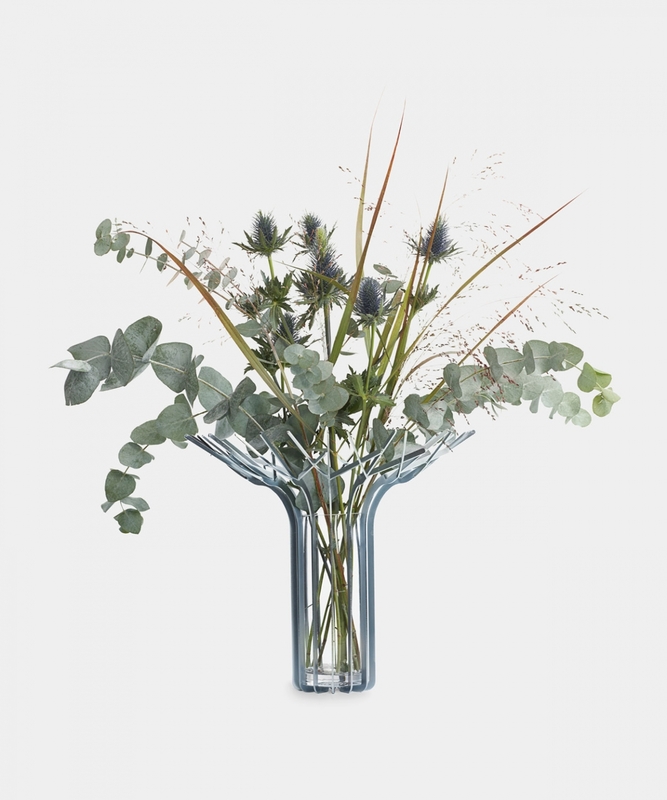 Trädkrona is a vase made of glass and steel, designed to display and support, rather than just contain, a bouquet of flowers. 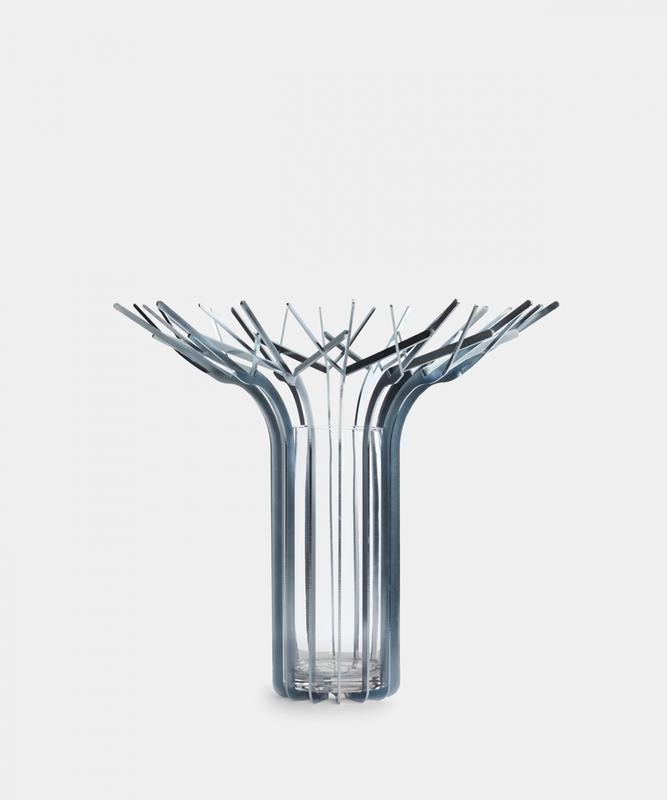 The branching of the vase increases at the top of the vase like a suprastructure in which the flowers can both entwine and find support. 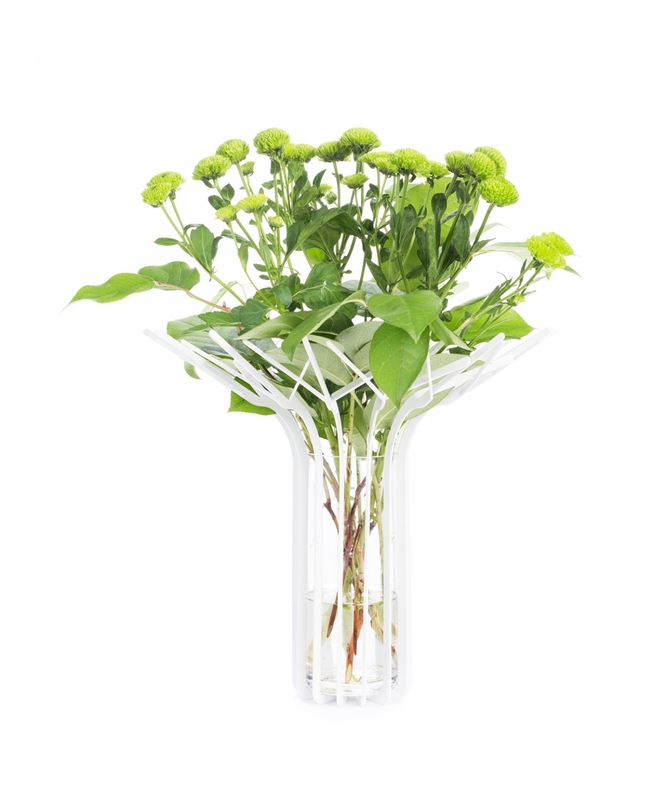 The vase is made from laser-cut steel plate, with a glass cylinder.